It’s that time again—school supplies are popping up in all the stores. Many an ode’s been written to the freshly sharpened pencil, but those are easy to select. 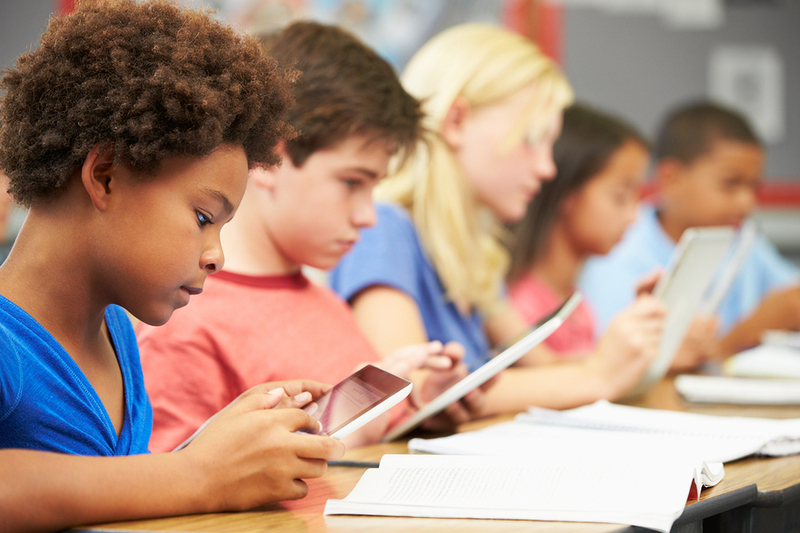 It can be harder to figure out what technology your kids need to make the grade. Let’s check out the options! Tablets: These easily portable devices aren’t just for fun—many teachers recommend educational apps for all ages. You can find phonics and basic math facts games, right on up to apps that help with foreign language homework and full productivity suites with documents, spreadsheets, and presentations for teens. Check your school’s device policy before sending the tablet to school, of course. PC Magazine has done the research and compiled a list of the best tablets for kids of all ages and family budgets. Phones: The average age for a child’s first cell phone has dropped well out of the teen years. In 2012, a National Consumers League study showed that 60 percent of parents gave their child a first cell phone at age 10 or 11, and the numbers have grown for tweens since then. Most kids get their first phone for parental convenience: Texting makes it easier to communicate when pickup plans have changed, for instance, or when sports practice gets cancelled unexpectedly. Trying to decide if it’s time for your child’s first phone? Here’s advice from the American Academy of Pediatrics. Fitness: If your teen’s getting into fitness, a wearable fitness monitor like the Jawbone or Fitbit can help turn physical activity into a lifelong habit. And wearables can help remind your teen to squeeze fitness into a busy schedule. The Academy of Nutrition and Dietetics has compiled a list of things to think about before purchasing your child’s first fitness tracker. Safety: Safety-minded wearable devices for younger kids can help ease your mind…and help you keep track of your kids. Devices range from kid-friendly watches, bracelets and phones to backpack tags equipped with Bluetooth or GPS technology. While some devices focus on tracking your child’s location anywhere they go others focus on proximity to you (for when you’re at the park, or an amusement park, for instance). Check out SafeWise’s report 10 Wearable and Safety Devices for Kids for a list of excellent options.